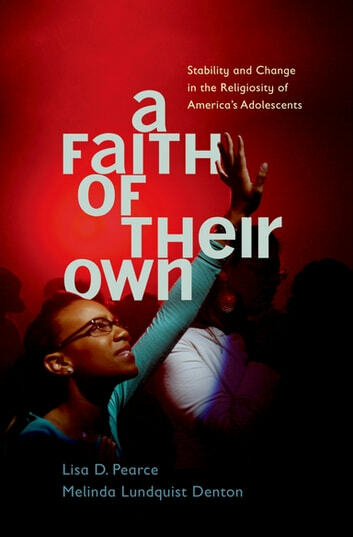 Adding to the contributions made by Soul Searching and Souls in Transition--two books which revolutionized our understanding of the religious lives of young Americans--Lisa Pearce and Melinda Lundquist Denton here offer a new portrait of teenage faith. Drawing on the massive National Study of Youth and Religion's telephone surveys and in-depth interviews with more than 120 youth at two points in time, the authors chart the spiritual trajectory of American adolescents and young adults over a period of three years. Turning conventional wisdom on its head, the authors find that religion is an important force in the lives of most--though their involvement with religion changes over time, just as teenagers themselves do. Pearce and Denton weave in fascinating portraits of actual youth to give depth to mere numerical rankings of religiosity, which tend to prevail in large studies. One teenager might rarely attend a service, yet count herself profoundly religious; another might be deeply involved in a church's social world, yet claim to be "not, like, deep into the faith." They provide a new set of qualitative categories--Abiders, Assenters, Adapters, Avoiders, and Atheists--quoting from interviews to illuminate the shading between them. And, with their three-year study, they offer a rich understanding of the dynamic nature of faith in young people's lives during a period of rapid change in biology, personality, and social interaction. Not only do degrees of religiosity change, but so does its nature, whether expressed in institutional practices or personal belief. By presenting a new model of religious development and change, illustrated with compelling personal accounts of real teenagers, Pearce and Denton offer parents, scholars, and religious leaders a new guide for understanding religious development in teens.